As seen below, an 88-key Keyboard is typically around 5 feet long, which makes it extremely difficult to travel anywhere with. The weighted keys also make it very heavy. After an iterative design process, I arrived at a solution of modules that could easily slot together, making for convenient travel for musicians. For more information on this project and my research behind it, check out my MFA Industrial Design Thesis Paper in which I dive into the details of the project! My Modular Keyboard Design for my Graduate Thesis in Industrial Design at RIT. 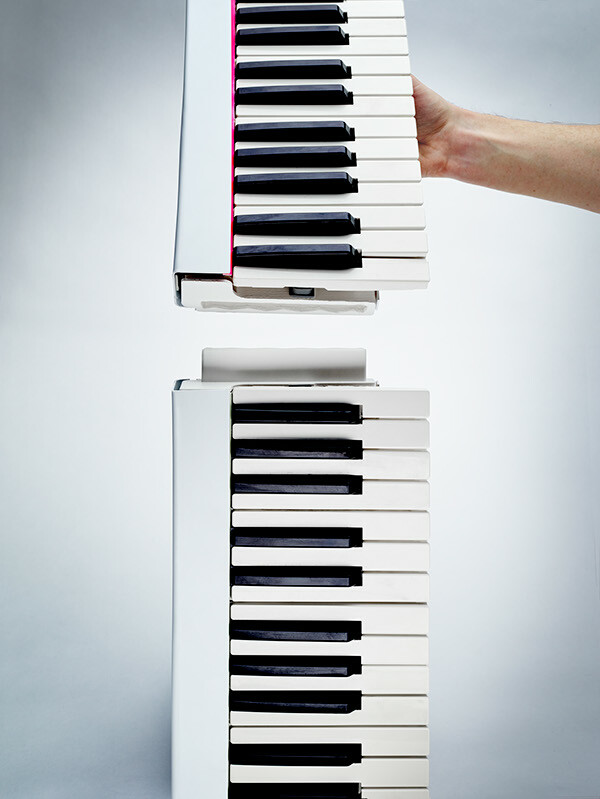 It is a portable, on-the-go solution that eliminates the hassle of traveling with a full-size 88 key keyboard. Now the instrument can be broken down and carried in a backpack, traveling with you in a car, bus, train, or airplane with ease. It also allows for more flexibility, affordability, and customization for the musician.